Infiniti has pulled the wraps off of the Inspiration 10 Concept, providing us a good look at what Infiniti’s future design language could look like. Like its predecessor, the Inspiration 9 Concept, the Inspiration 10 Concept is infused with retro styling, culled from classic speedsters and sculpted with modern design characteristics. Infiniti believes that the concept can serve as a springboard into the design of its future models. As such, the Inspiration 10 Concept is not expected to become a production model anytime soon. The Inspiration 10 is a visual representation of Infiniti’s potential design future, wrapped up in a stunning body that’s inspired by the past. It’s hard not to be mesmerized by the Infiniti Inspiration 10 Concept. It’s not a traditional-looking concept by any means, but that’s not the point. The Inspiration 10 is a visual representation of Infiniti’s potential design future, wrapped up in a stunning body that’s inspired by the past. The speedster’s proportions are all over the place. It sits low to the ground, has a short height, and looks wider than most cars. But the style and geometric bodywork are all there, and that’s precisely what Infiniti is trying to showcase. Up front, the Inspiration 10 Concept wears thin headlamps, thinner, in fact, than the ones we saw on the Inspiration Q Concept earlier this year at the North American International Auto Show. The concept lacks a front grille, but it does have angled air intakes and a large chin spoiler that’s admittedly designed in an odd yet effective way. The hood appears to integrate into the body, creating a seamless, unified look that’s layered neatly by the abundance of body lines on the concept. The side profile of the Inspiration 10 gives it that sporting look. That’s largely credited to the triangular fin mounted behind the driver’s seat. This particular angle also reveals the concept’s long body, open cockpit, and the short overhangs. Squint your eyes and you’ll also see the small windscreen of the concept. The side profile reveals the concept’s long body, open cockpit, and the short overhangs. Move to the back and the first thing you’ll notice is how bulky the rear fascia looks. There are no taillights in the concept, though that thin horizontal line that stretches the width of the concept could be taillights. Down below, you’ll see Infiniti lettering, and below that is an angular and cut rear bumper that leads down to what looks like a futuristic diffuser. You’ll be excused for thinking that the Infiniti Inspiration 10 Concept is nothing more than a design exercise that Infiniti decided to bring to life to showcase its design proficiency. But there’s more to this concept than what the automaker is letting on. The hope is that we’ll find out what that is soon enough. Infiniti says that the Inspiration 10’s cockpit draws inspiration from “ single-seat formula race cars.” That’s a fair sentiment because there’s not a lot going on in the cockpit in terms of quantity. It’s small and completely uncluttered, the latter only achieved because there’s literally not a lot of space to work with. Run a checklist of items in the concept’s cockpit, and that checklist isn’t going to be long. There’s a driver’s seat, a four-point harness, accelerator and brake pedals, and a race-inspired steering wheel. That’s about it. Fortunately, there’s more to the concept’s cockpit than the sum of its parts. The steering wheel, in particular, comes with a flat lower section and grips for the driver’s hands. Since the concept is an electric car by definition, there are no gear switches or toggles in the wheel, leaving only a compact instrument display. Just in front of the steering wheel is the driver’s seat, trimmed in black leather with red stitching thrown in. Side and hip bolsters help improve the seat’s comfort levels, and in typical speedster fashion, the seat is mounted completely low to the ground, partly because it looks cool, but mostly because it helps improve the concept’s center of gravity. The cockpit technically has space for a passenger seat, but in keeping with the concept’s speedster identity, Infiniti ignored putting a passenger and instead used that space to add a massive vent that channels air through the car, presumably to cool the batteries and electric motor that serve as the power sources of the concept. The automaker is clear that the concept is a gateway to an electrified future, and the way it’s designed indicates that it’s going to run purely on electricity. Most concepts literally have no powertrains underneath their skins, and it looks like the Infiniti Inspiration 10 Concept is the same. Still, the automaker is clear that the concept is a gateway to an electrified future, and the way it’s designed indicates that it’s going to run purely on electricity. "Electrification provides new opportunities for the design and layout of our cars. In accommodating batteries and electric motors, or employing smaller gasoline engines, we aren’t bound by the same physical restrictions,” Infiniti Executive Design Director Karim Habib said in a press release. “Prototype 10 shows how an electrified powertrain could fit within a lean, lightweight and daring body, and this enabled us to rethink the fundamental layout of the car." Demonstrating the potential application for Infiniti’s powertrain technologies is one of the concept’s main objectives. But that’s all there is to it. Beyond the opaque and vague “large electric motor” description, there’s nothing tangible under the concept’s body; the concept is nothing but a design study at this age. What’s important, though, are the design characteristics that are included specifically for the purpose of aiding electric powertrains. The plethora of ducts and vents, including the massive vent in the space where the passenger seat should be, are all there to help improve cooling for a battery pack. The design study works in stirring our imaginations, but Infiniti’s purpose for the concept runs a lot deeper than that. On the surface, the Infiniti Inspiration 10 is a stunning work of art. It almost feels like it belongs in a museum more than the lawn at Pebble Beach. But as it is, there’s more to the Inspiration 10 than meets the eye. The design study works in stirring our imaginations, but Infiniti’s purpose for the concept runs a lot deeper than that. In a lot of ways, the concept is a peek into Infiniti’s future, one that will be dominated by electrification. It probably has no place in that future, per se, but as it is today, the Inspiration 10 Concept could be described as s link between where Infiniti is now and where it plans to go in the future. That plan takes the shape of a sleek, retro-styled, futuristic-looking speedster, but make no mistake, the road the concept will travel to will lead it down the path to electrification. Karim Habib said it best. “For us, electrification means performance — our cars will be powerful, efficient, and highly rewarding to drive, and Prototype 10 is a physical representation of our electrified future." Read our full review on the 2017 Infiniti Prototype 9. Read our full review on the 2018 Infiniti Q Inspiration Concept. As a brand with technological innovation at its core, electrification is a natural next step for INFINITI. From 2021, every new INFINITI model will feature electric drivetrain technology to enhance performance. The Prototype 10 provides a window into INFINITI’s desire to deliver driving pleasure, thrilling performance and range confidence. Following the ground-breaking Prototype 9 concept first revealed at the 2017 Pebble Beach Concours d’Elegance, INFINITI has ’looked back to go forward’ with the Prototype 10. 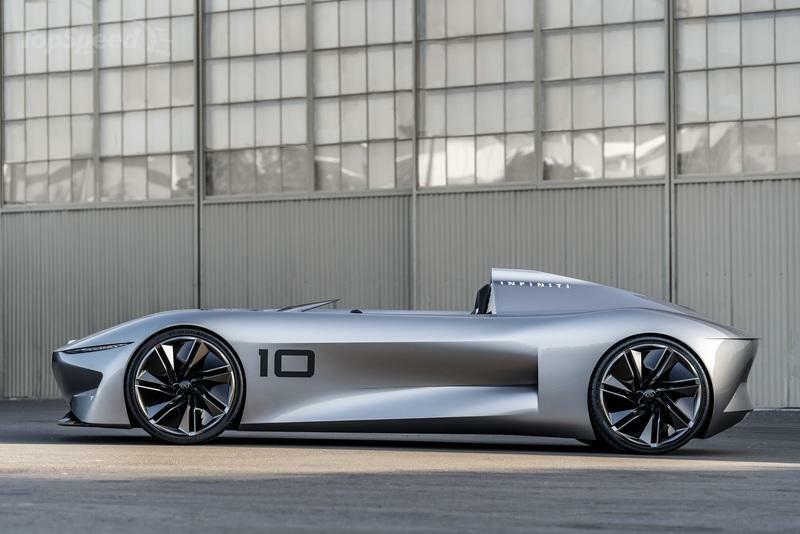 A future vision realized by INFINITI designers, Prototype 10 evokes the spirit of early Californian speedsters, and is informed by some of the most iconic car designs of all time. "We all feel a certain degree of passion when talking about roadsters and speedsters. We are equally passionate about the potential that electrification holds for the future of our cars – a daring speedster is the perfect study for our designers to explore an electrified future and ignite such excitement." 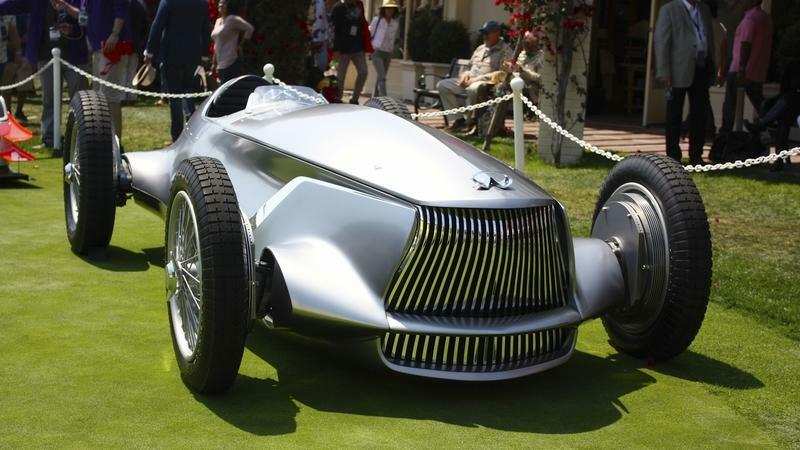 "The INFINITI Prototype 10 echoes the layout and design of early speedsters. This period saw the creation of some of the most evocative car designs of all time, where power was celebrated through high-powered single-seat competition cars. Our new concept speaks of an electrified future, something which is reflected in its form and details. 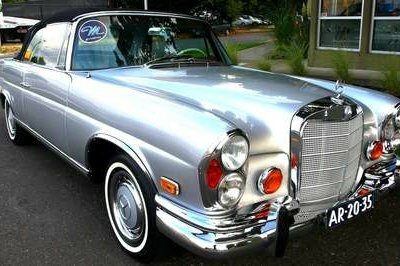 It is appropriate that we found inspiration in an optimistic bygone era in which cars were characterized by the simple love of driving." "For us, Prototype 9 evoked the thrill and drama of early open-wheeled racing, and Prototype 10 represents another passion project for our designers. This idea of ’looking back to go forward’, and combining the inspiration of an earlier aesthetic with future technology, lets us show how excited we are about the era of electrification. Prototype 10 draws on some of the most iconic and evocative car designs of all time to illustrate this excitement." INFINITI’s design teams in Asia, Europe and North America have each been involved in the creation of Prototype 10 from its inception. A forward-looking project on a global scale, its creation has been masterminded by INFINITI’s Japan design center and forged digitally in the U.K. 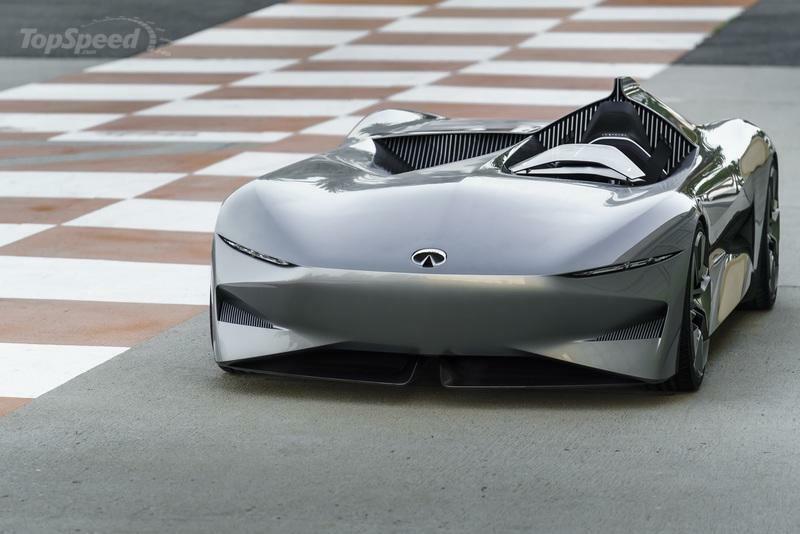 Evoking the spirit of early speedsters, it was to be expected that the project would be completed in San Diego, California – home of INFINITI’s North American design base. "California is intrinsically linked to the speedster body style and remains a cultural center for independent car tuning and coachbuilding to this day. Prototype 10 taps into this unique Californian ethos of self-expression, both in its design and its performance." 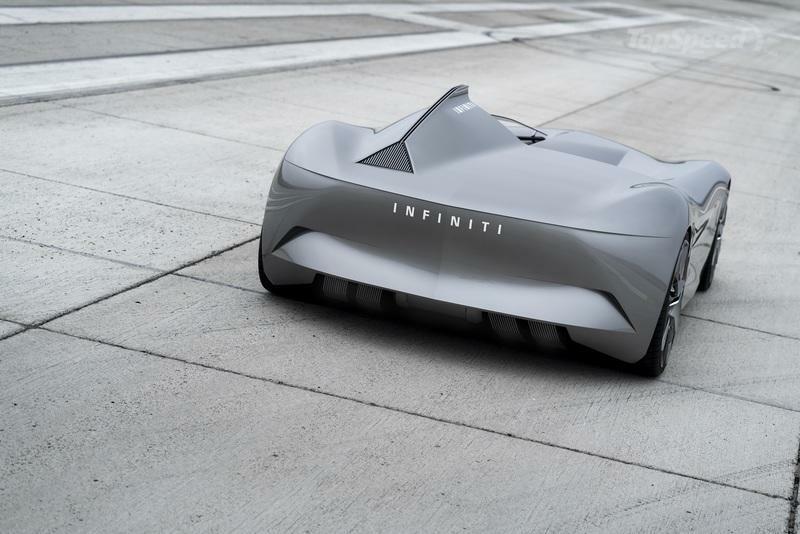 "Prototype 10 provides a link between where INFINITI stands now, and where we are heading. For us, electrification means performance – our cars will be powerful, efficient, and highly rewarding to drive, and Prototype 10 is a physical representation of our electrified future." From 2021, all-new INFINITI’s models will offer a mix of pure electric vehicles and e-POWER vehicles – demonstrating the full range of ultra-low emissions technology available. 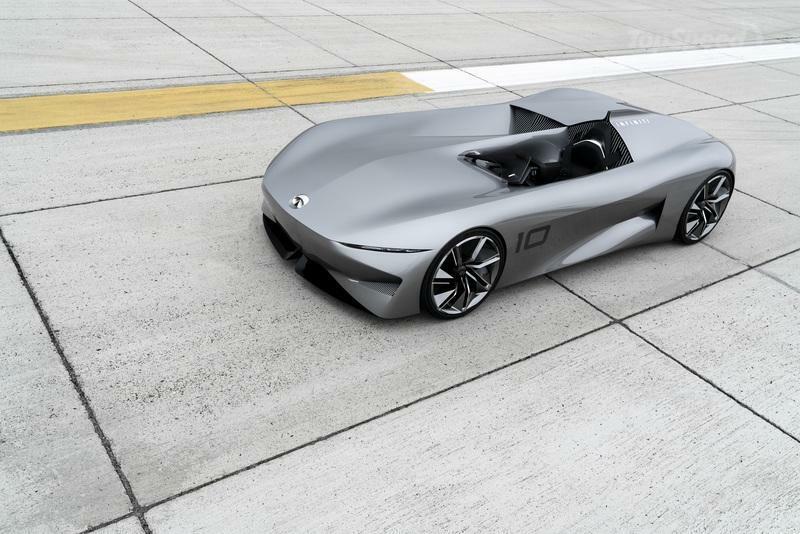 The Prototype 10 seeks to illustrate what drivers will come to associate with the brand’s electrified models. Echoing the performance traditions of the speedster, INFINITI will deliver electric performance of the highest order. Delivering high performance in the smartest way possible, electric motors will be used to provide INFINITI vehicles with breathtaking off-the-line acceleration and thrilling speeds. By eliminating the need for external charging sources, INFINITI’s unique e-POWER models will also provide ’range confidence’ for longer journeys. "In designing Prototype 10, we wanted to explore how an INFINITI could look in future with the arrival of electrified powertrains. The idea of clean motoring is carried over in the car’s uncluttered, skyward-facing surfaces, while simple, geometric details provide a visual link to the notion of electrification and direct power." A carefully crafted evolution of the design language first shown with the INFINITI Q Inspiration concept in 2018, the Prototype 10 is resolutely forward-looking in terms of its aesthetics. Like the Q Inspiration, the new design study proposes how the function of an advanced, electrified powertrain could be communicated in a stunning new form. While it retains the clean, uninterrupted surfaces of the Q Inspiration – an elongated, coupé-like sedan – the Prototype 10 telegraphs the performance benefits of electric powertrains with a more purposeful speedster configuration. Clear, concise lines and confident proportions, without the body volume of the Q Inspiration, characterize the concept’s design. With a pared-back and more geometric form, the bodywork incorporates a series of austere, straight lines, which are particularly evident in the 90-degree relationship between the bodywork and the fin behind the driver’s head. Ultra-modern shapes and clean, abrupt lines, punctuate a design that would otherwise be characterized by the flowing nature of its bodywork. 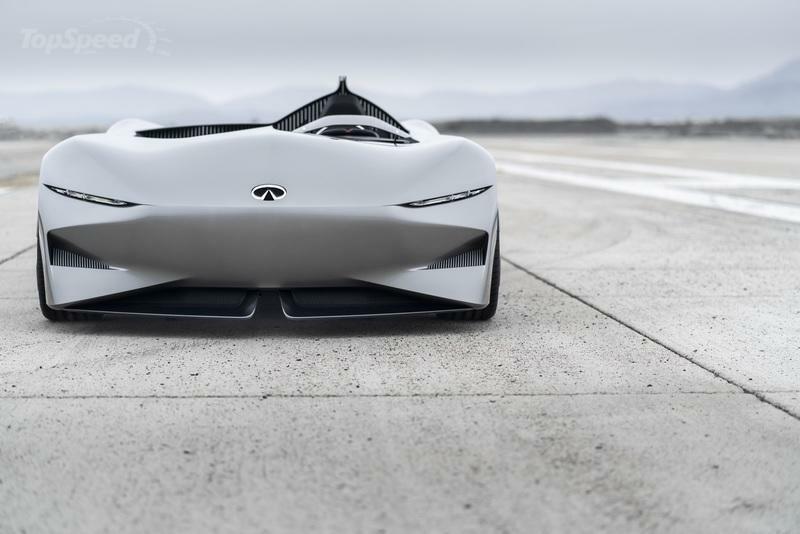 "Prototype 10 follows the INFINITI Q Inspiration concept in introducing a new form language for an electrified era, hinting at electric performance of the highest order. Where the Q Inspiration presented a degree of sensuality in its surfaces, Prototype 10 evolves this design with more purpose and aggression." "Our electric vehicle architecture represents a turning point for our design teams, a chance to present alternative proportions with different shapes. This new design language prioritizes clean, efficient lines with which we can articulate a new, confident design language." In seeking to understand the way INFINITI’s vehicles will look in future, every element of the Prototype 10’s design links to the notion of electrification. As with the Q Inspiration concept, the clean, uninterrupted surfaces serve as a reference to the power source that provides an uninterrupted flow of electric propulsion. Where the Prototype 10’s unbroken, skyward-facing surfaces reflect the uninterrupted nature of electric motor power delivery, the bodywork itself is punctuated by geometric lines. These lines reference the shock of sudden acceleration enabled by a powertrain, which can instantly deliver 100% of available torque with a push of the accelerator pedal. Straight lines give added definition to the grilles at the front of the car, and the side strakes that plunge into the rear wheel arches. The cooling ducts in the open-air cockpit – one behind the driver, one in place of a passenger seat – are also characterized by their sharp geometry, with their very structure appearing to take the form of an electrical pulse. The upright fin behind the driver’s head carves into the rear deck of the car, with razor-sharp forms also evident in the design of the triangular rear light. The front of the car features a prominent INFINITI badge pressed deep into the bodywork, with distinct creases running over the front fenders and up the center of the hood. Slashes at the base of the hood house ultra-thin headlights, as sharp in their appearance as the power delivery is direct. Contrasting the silver bodywork, a black chin spoiler at the base of the bumper is designed to enhance downforce at the front, and channel airflow beneath the completely flat underfloor of the vehicle. "We were drawn to the idea of outlaw racers adapting their own cars for grass-roots racing. Cabriolets become roadsters and speedsters with the removal of the roof, or by fitting a smaller, swept-back windshield. Many owners even covered the passenger bay to create a monoposto competition car." The cockpit echoes the design philosophy of the exterior, with clean, flowing surfaces bisected by geometric lines. 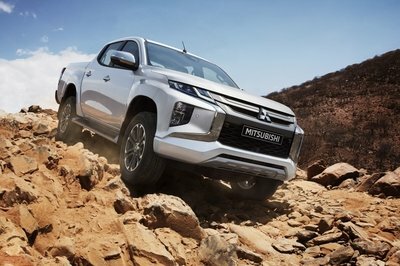 The hood flows seamlessly into the open-air cabin, drawing attention to the driver’s seat and the large electric motor cooling ducts. The speedster layout encouraged INFINITI’s designers to create a monoposto cockpit, with attention focused solely on the driver. Fully visible from outside the car, the pure, minimalist cockpit captures the essence of INFINITI’s driver-focused approach. Where cabins in INFINITI production vehicles are designed to be ’driver-focused and passenger minded’, the sole purpose of Prototype 10 is to deliver a thrilling driving experience. In place of a passenger seat, therefore, a large vent lets air flow into the rear of the car to cool the electric motor and batteries. Prototype 10’s cockpit design is inspired by single-seat formula racecars – placing the driver fully in-control with an unhindered view of the road ahead, with ready access to ergonomic controls and with minimal distraction. Communicating the notion of electrification and performance, Prototype 10’s uncluttered cockpit is fitted only with a driver’s seat, four-point harness, brake and accelerator pedals and a striking, highly technical race-inspired steering wheel. The steering wheel is the most visually arresting element of the cabin, mounted on lightweight carbon fiber struts that extrude out of the bodywork. There is no need for an intrusive steering column due to the presence of INFINITI’s steer-by-wire Direct Adaptive Steering, providing lightning-fast responses to steering inputs. The shape of the struts holding the wheel in place is echoed in the form of the steeply raked wind guard, deflecting air over and around the driver’s head and into the cooling ducts. The small-diameter wheel itself adheres to motorsport principles, with a flat lower section and distinct grips for the driver’s hands – with no gears to change, an electrified powertrain means fewer physical distractions. Like the INFINITI ’infinite road’ logo, the center of the wheel extends away from the driver, leading into a compact instrument display. The single seat is trimmed in black leather, with red stitching matching the center of the wheel. Extended side and hip bolsters provide a snug fit and maximum possible lateral support. The seat is mounted as low in the cockpit as possible to help lower the overall center of gravity, with only the driver’s head visible above the bodywork – it is for this reason that INFINITI designers dubbed this aspect of Prototype 10 ’The Bathtub’ during its creation. "Prototype 10 highlights the shift towards powertrain electrification for INFINITI. In the near future our cars will offer high performance, extended driving range and the intelligent management of energy." 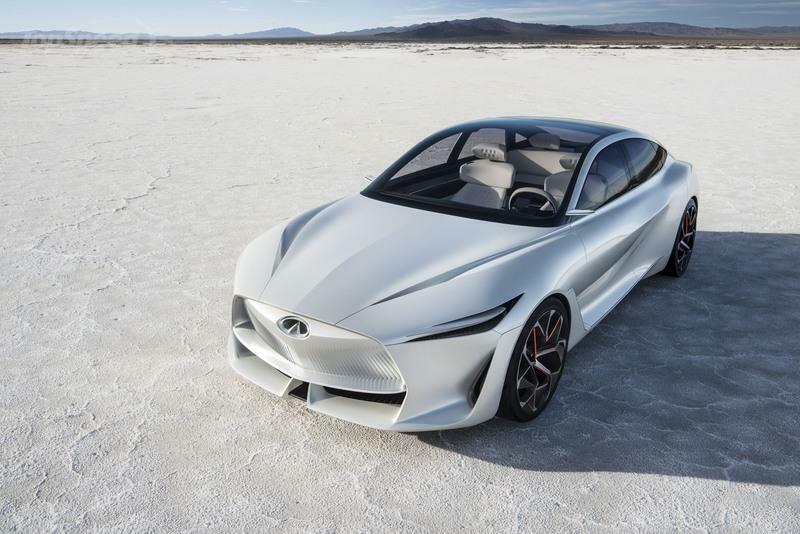 As a physical manifestation of INFINITI’s creative and ambitious plans to electrify its model line-up, Prototype 10 demonstrates the potential application for the brand’s future powertrain technologies. 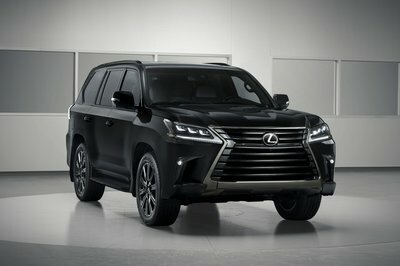 New models will offer owners a choice of pure battery electric vehicles, high-performance parallel hybrid vehicles and unique, performance focused e-POWER powertrains. INFINITI’s electrified vehicles will break down many of the perceived barriers to EV ownership. INFINITI e-POWER models in particular will eliminate the need for an external charging source, providing ’range confidence’ for long journeys while delivering the same memorable and invigorating EV driving experience. High performance remains a key tenet for INFINITI, with innovative drivetrain technologies applied to deliver truly electrifying performance. As hinted at by the Prototype 10, INFINITI’s electrified cars will enable rapid acceleration, high speeds, and intelligent energy management. "Electrification provides new opportunities for the design and layout of our cars. In accommodating batteries and electric motors, or employing smaller gasoline engines, we aren’t bound by the same physical restrictions. Prototype 10 shows how an electrified powertrain could fit within a lean, lightweight and daring body, and this enabled us to rethink the fundamental layout of the car." Modular platforms will enable INFINITI to apply e-POWER and battery EV powertrains in new and creative ways within chassis of all shapes and sizes – including sedans, SUVs and sports cars. Electrification also provides the opportunity to introduce a wider variety of drivetrains, including a new e-AWD system, underpinned by electric motor technology, to help transform perceptions of EV performance and power delivery. Purely a design study at this stage, Prototype 10 nevertheless hints at the inherent flexibility of INFINITI’s approach to platform and powertrain development. The ducts and vents in Prototype 10’s body could enhance cooling for a battery pack, even INFINITI’s unique, performance focused e-POWER technology.